“But libraries are about freedom. Freedom to read, freedom of ideas, freedom of communication. They are about education (which is not a process that finishes the day we leave school or university), about entertainment, about making safe spaces, and about access to information. Library of the living dead – a novel way to introduce patrons to the library! The Miller Library at McPherson College in Kansas has come up with a novel way of introducing future library users to their libraries – a graphic novel that features a zombie fighting librarian! Library of the living dead walks users (ok, runs from zombies) through each section of the library where the helpful librarian uses the collection to highlight the many and varied uses of the resources that the library holds. I won’t give away the ending, but if you’re not convinced to read it yet, a comment from one satisfied reader might just get you over the line: Great art, great story, and epic beard action… what’s not to love? What indeed. 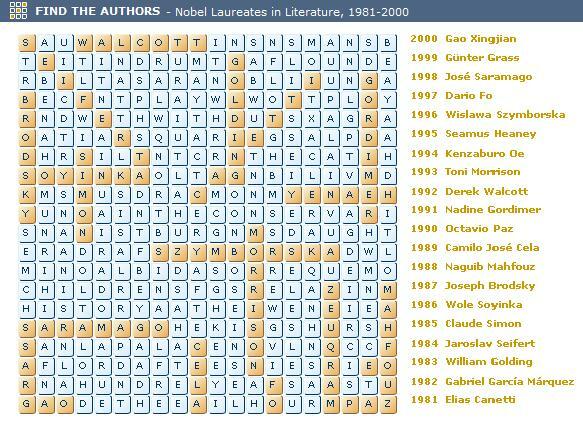 To celebrate the announcement of the latest crop of Nobel laureates, the Nobel prize website has created a number of online activities. There is a set of word mazes featuring the names of previous winners in the category of literature. I have done the first one for you, there are 3 more to complete. Happy name searching. For those who want something a bit more challenging than the humanities there are also games on the hard sciences and a great one where you get to be the commandant of a prisoner of war camp. 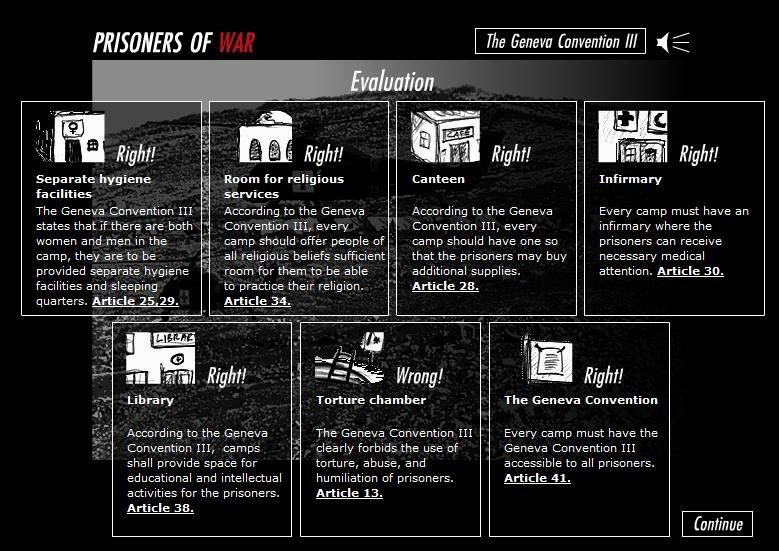 Being a good camp commandant you will of course provide a library for your detainees under Article 38 of the Geneva Convention. Imagine, it’s not hard to do, a world where knowledge and information is off the shelves and available online at any hour in any community. Where a stack is never closed to an open mind. Where the only access requirement is an e-reader, computer or smart phone. Where you don’t need an address for a library card, but only the address of a library catalogue, Community Books or Google. A knowledge rich world, where sharing is more important than ownership. Let the good incendiaries with charred fingers come! Here they are! Heap up the fire to the shelves of the libraries! As librarians, we can realise the possibilities of a connected and open world. 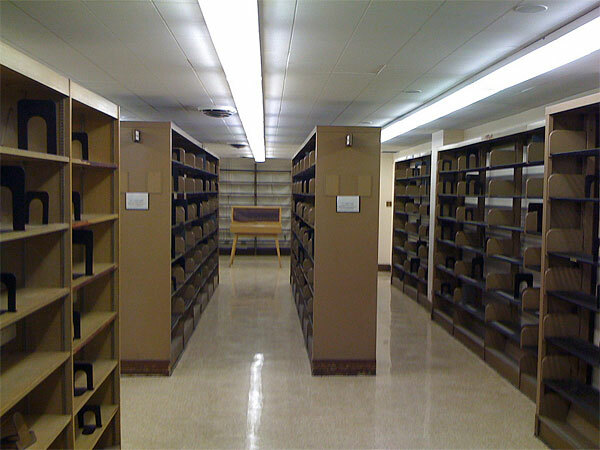 We can (metaphorically) burn the shelves and set the books free. Edit: And, more importantly, don’t miss checking out his invitation to visit the library. The Public Library of Charlotte and Mecklenberg County in the US have come up with a rather inventive campaign against library cuts and closures.